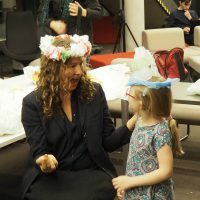 "Hopefully, through my art and sharing my process and the ideas that I contemplate when making my work about understanding materials and concepts of sustainability, I connected with some kindred spirits and inspired others to begin to take these concepts into consideration in their own art making processes. 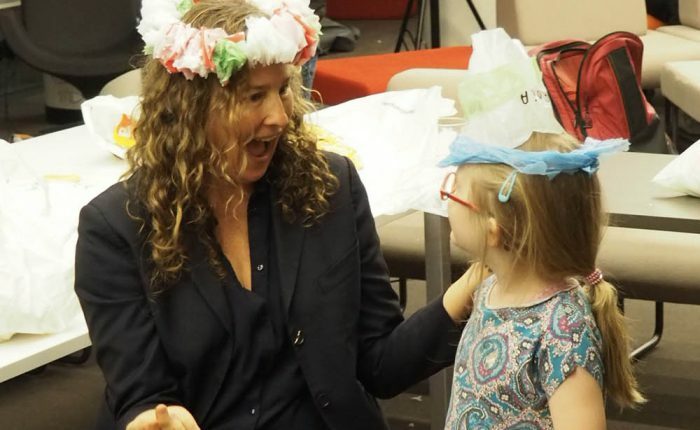 Sustainability and caring for our environment and the world and planet on which we live extend beyond all borders and our future care of the earth will determine our ability to survive on the planet." 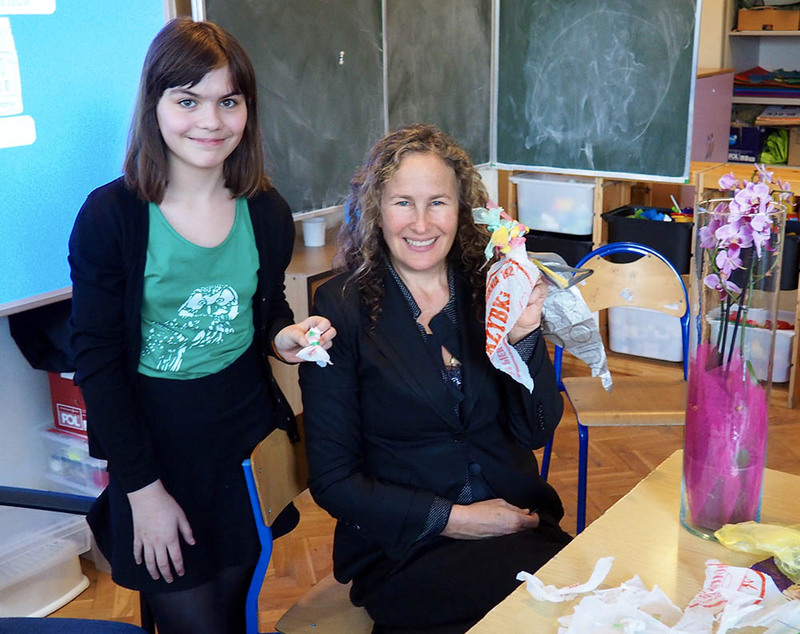 In March of 2017, artist Dianna Cohen traveled to Poland to speak to and engage with art students and art professionals about her artwork and how it relates to her larger concerns regarding single-use plastics, like grocery bags, water and soft-drink bottles, drinking straws, and flatware. 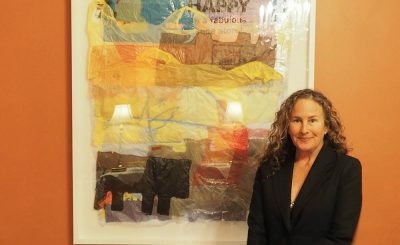 Cohen is a Los Angeles –based artist best known for her use of recycled plastic bags in her art. 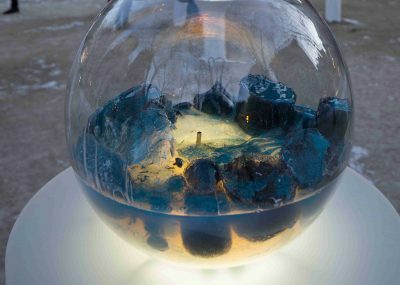 She cuts and sews the material like fabric, creating small hanging pieces, sculptures, and room-sized installations. 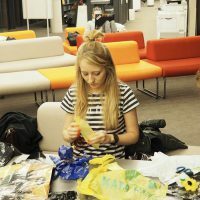 Her work takes plastic originally created to be used once and then discarded and instead transforms the objects into art – to be esteemed and considered. 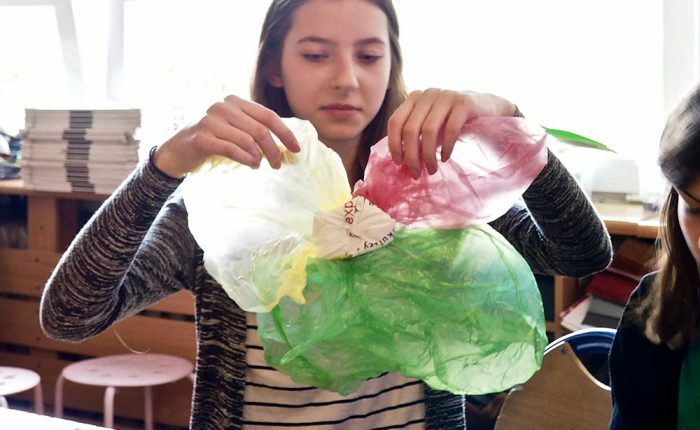 The results, not unlike alchemy, are to take plastic bags – perceived to have little or no value and incorporate them into an enduring artwork that serves as a reminder to both maker and viewer of the qualities and origin of a material that can take hundreds of years to breakdown in a landfill. 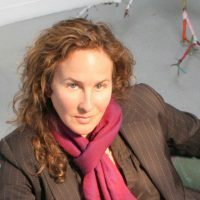 Having worked with plastic over the years, Cohen began to recognize the material’s ubiquity and influence in her own life as an issue that needed to be understood and highlighted. 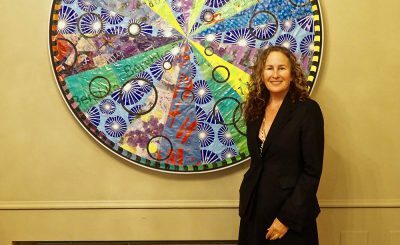 Her artistic practice has expanded to include social engagement, and, in 2009, Cohen co-founded the Plastic Pollution Coalition, a global alliance working toward a world free of plastic pollution and its toxic impact on humans, animals, and the environment. 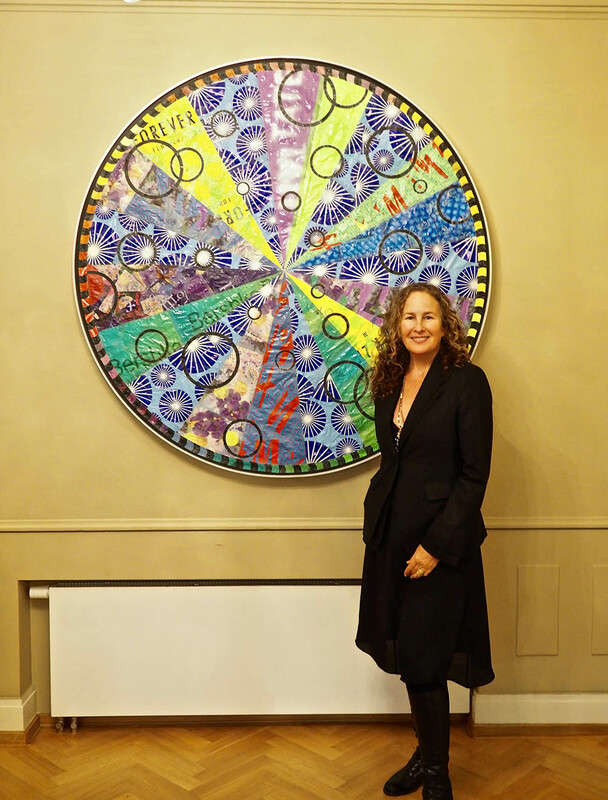 In 1999, Cohen first exhibited through Art in Embassies when two works Disposable Sin, 1998, and Maya, 1995, where shown in the U.S. Ambassador to Namibia’s residence in Windhoek. 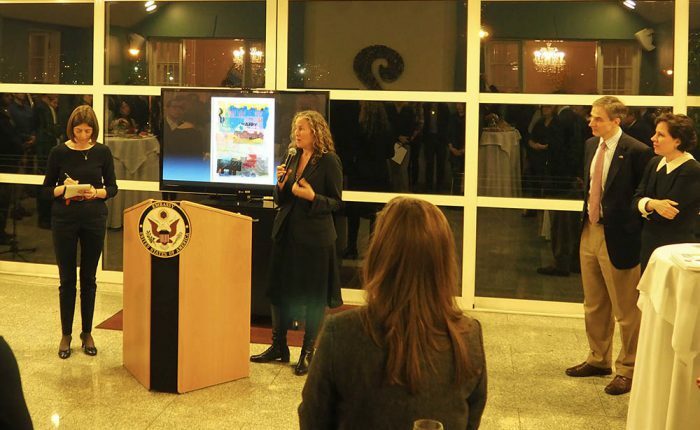 Over the years, Art in Embassies has included her work in in San Salvador, and she is also represented in the permanent art collection of the Tijuana Consulate. 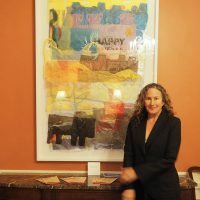 Cohen’s work Happy Fabulous, 2010, had been included in the recent Art in Embassies exhibition in Warsaw at the Residence of U.S. 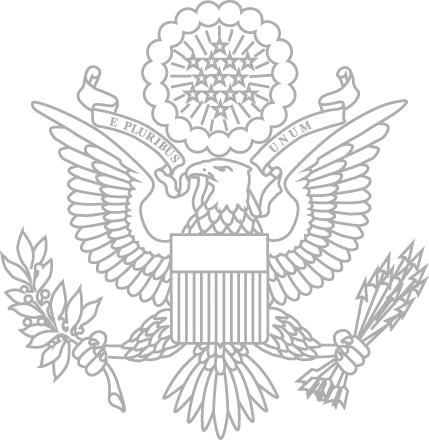 Ambassador Paul W. Jones and Catherine Jones. 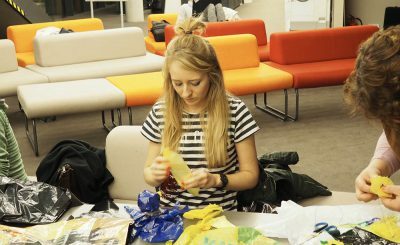 The show includes a selection of American artists who also create art from plastic and other ‘throwaway’ materials. 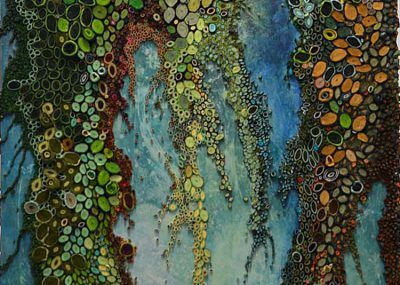 The six artists are Gyongy Laky; Virginia Fleck; Amy Eisenfeld; Dianna Cohen; Annie Farrar; and Sheila Gallagher. 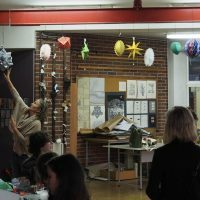 While sharing methods and materials, each of their works is unique in intention, execution, and final outcome. 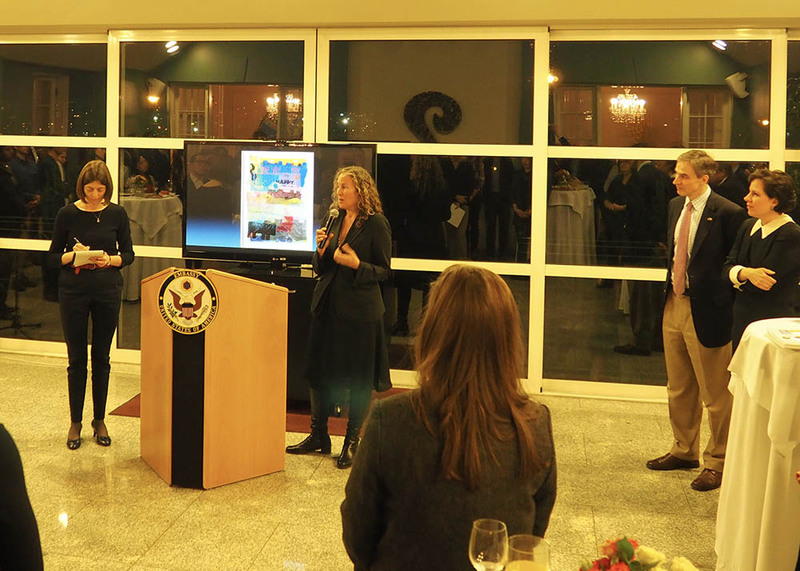 Ambassador Jones and his wife invited Cohen to Poland to conduct a series of artist workshops and presentations to schools, universities, museums, environmental organizations, media outlets, and the general public. 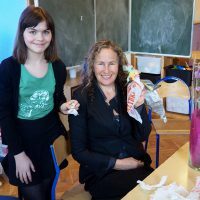 During her weeklong trip, she visited the cities of Krakow, Katovica, Radon, and Warsaw. 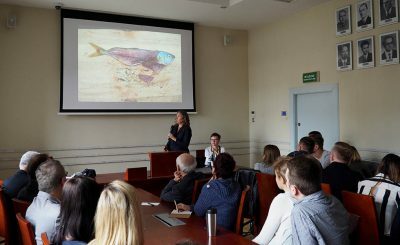 At the University of Agriculture in Krakow, Cohen met with faculty members and Dean and then gave a talk to graduate students from the Department of Agricultural Environmental Protection. 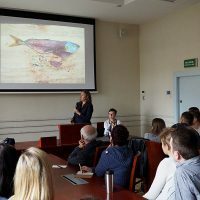 Cohen also gave a public talk and workshop at the Arteska Wojewodzkiej Biblioteki Publicznej – the regional public library’s space devoted to arts and culture in Krakow. 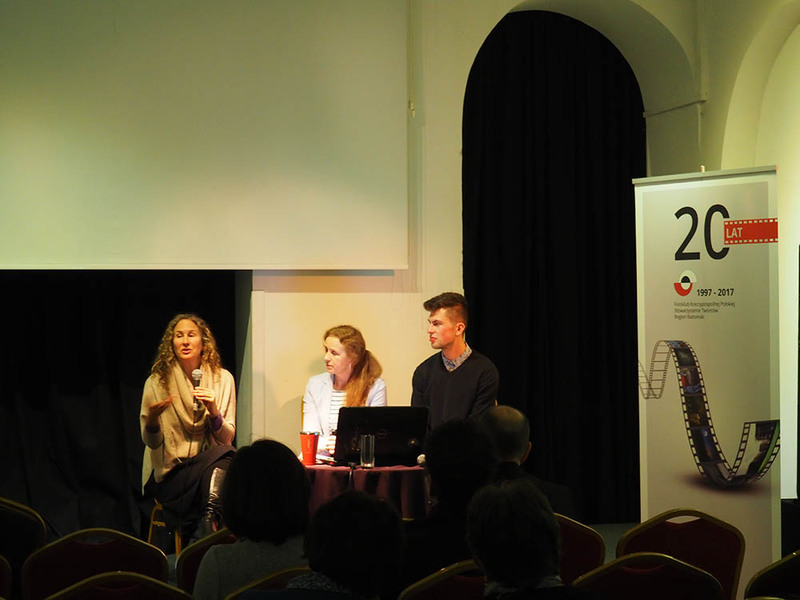 She also lectured and screened videos as part of a Meet the Artist series at Bunkier Sztuki Gallery of Contemporary Art. 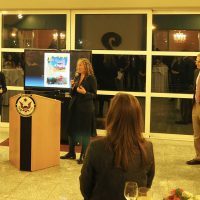 With the support of the American Corner in Radom, Cohen gave presentations of her artwork, screened and shared in dialogues following through Q&A’s at two locations — Łaźnia Gallery Radom and the larger venue Łaźnia Concert Hall Radom – to diverse audiences including university students, artists, environmental activists, and the general public. 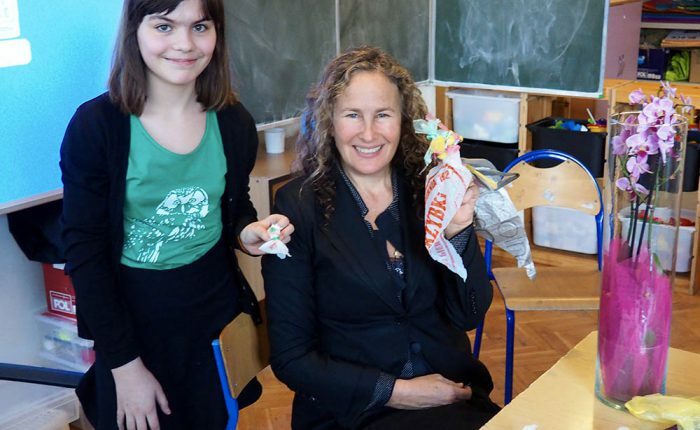 Cohen also engaged with students at an arts high school –the Zespół Szkół Plastycznych w Katowicac—in the industrial city of Katowice as well as an art class of young, elementary-age students at the Lotników Amerykańskich School in Warsaw. 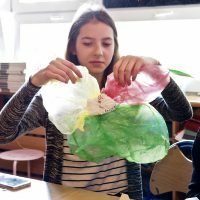 At these workshops, attendees knew in advance to bring in single-use plastic bags as the medium to create their own art. 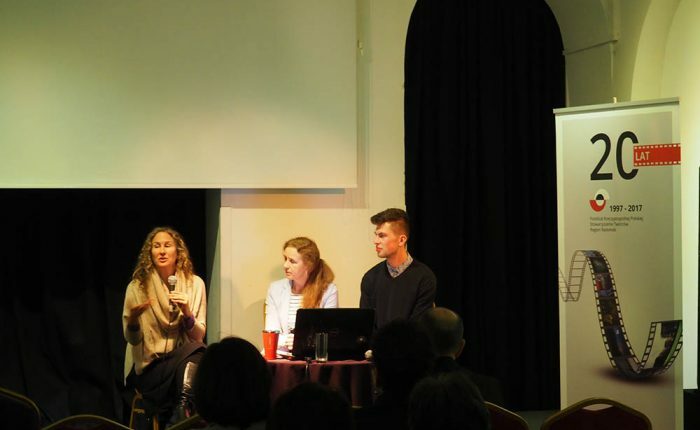 The workshops began with an introduction by Cohen on her artwork and her subsequent activism. 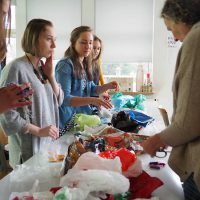 Using images of her artwork to illustrate the aesthetic possibilities of a material more likely to be discarded than displayed as art, Cohen offered guidance and support to workshop participants. 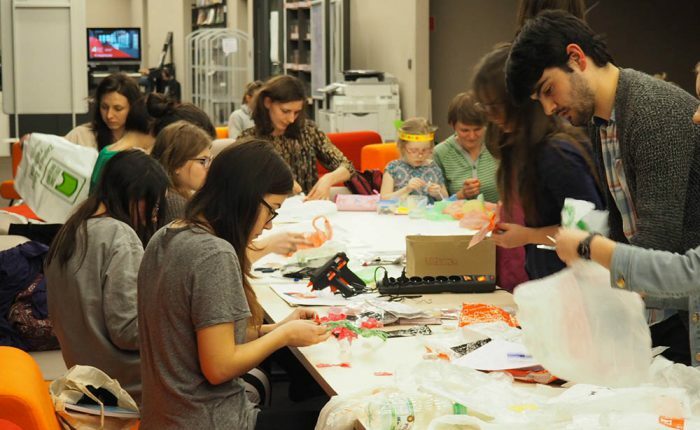 At the workshops, familiar tools like scissors, thread, sewing needles, and a hot glue gun, were available. 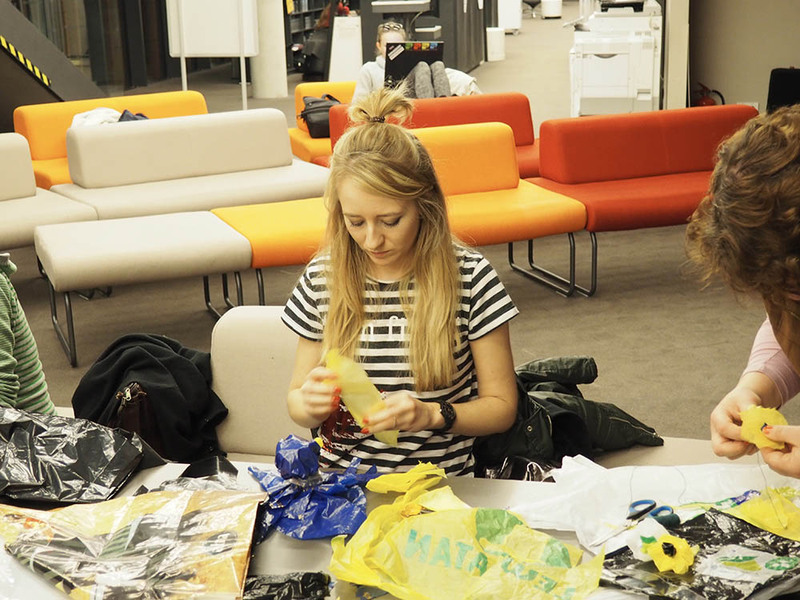 The bags were then cut, glued, collaged, braided, and/or sewn into artworks. 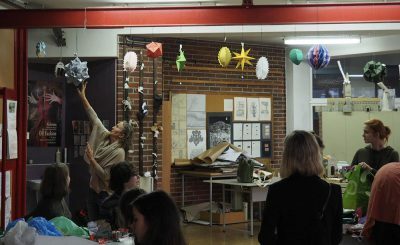 At the end of each event, Cohen collected the artworks made at these workshops to later include and assemble into a larger artwork to be made by the artist. 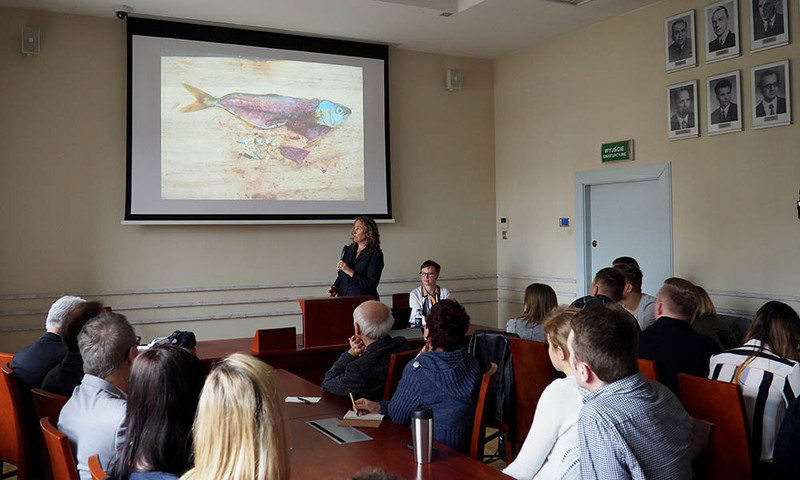 01 Krakow_cohen_Ag University_2Artist Dianna Cohen presented her artwork and its relationship with plastic pollution to graduate students from the Department of Agricultural Environmental Protection, who were interested in artist’s perspective on environmental concerns. She gave a PowerPoint and shared several short films. OLYMPUS DIGITAL CAMERAIn advance of the presentation and workshop, participants were asked to bring in single-use plastic bags as the medium to create their own art. 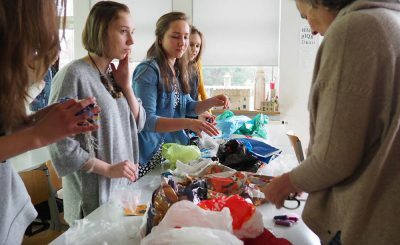 The bags were then cut, glued, collaged, braided, and/or sewn into artworks. 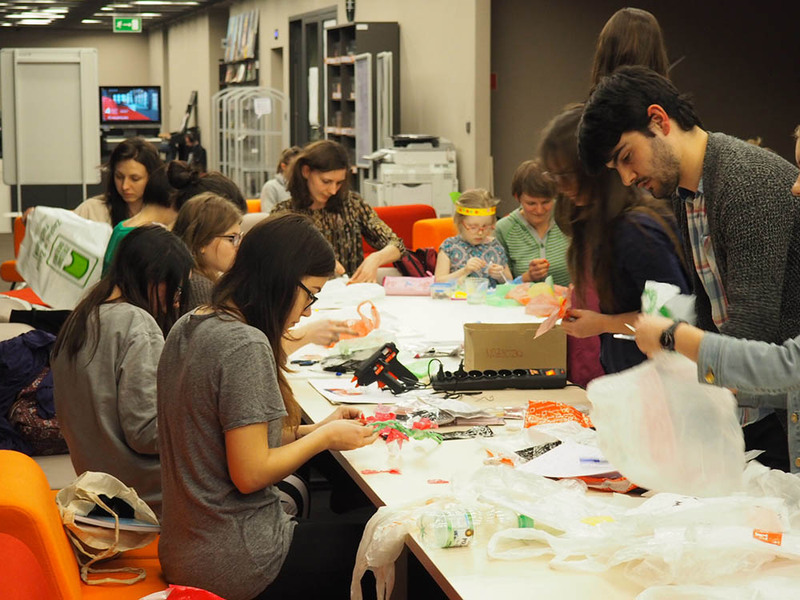 OLYMPUS DIGITAL CAMERADianna Cohen is collecting the artworks made at these workshops on her visit to Poland to include and assemble into a larger artwork to be made by the artist. 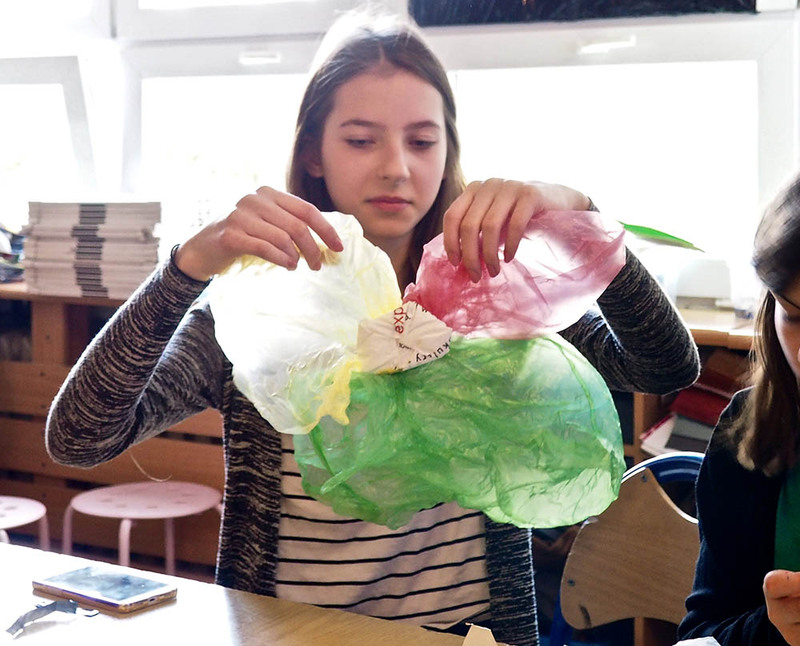 05Krakow_cohen_IMG_0360While visiting the Zespół Szkół Plastycznych w Katowicach (an arts school in Katowice), Cohen conducted a hands-on workshop with art students ages 16 to 19 and walked them through her process using single-use plastic bags as materials. OLYMPUS DIGITAL CAMERAIn addition to the workshop, Cohen gave a presentation, held a discussion, and took a tour of the school. 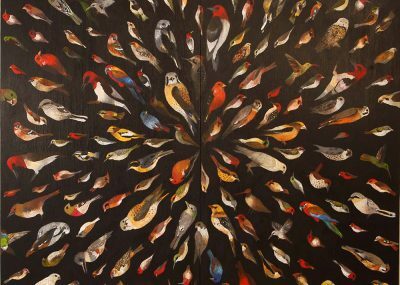 Works such as these will be included in a later, larger piece. 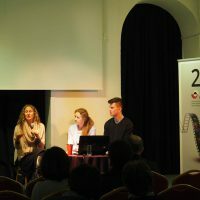 OLYMPUS DIGITAL CAMERAArtist Dianna Cohen presented her artwork and its relation to her efforts to raise awareness of the problems with single-use plastics at the Łaźnia Concert Hall in Radom. 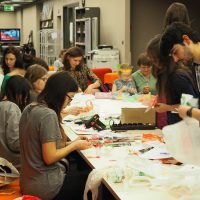 The event was related to its “Meet the Artist” series, and all of it was translated from English to Polish. Afterwards there was a Q/A. 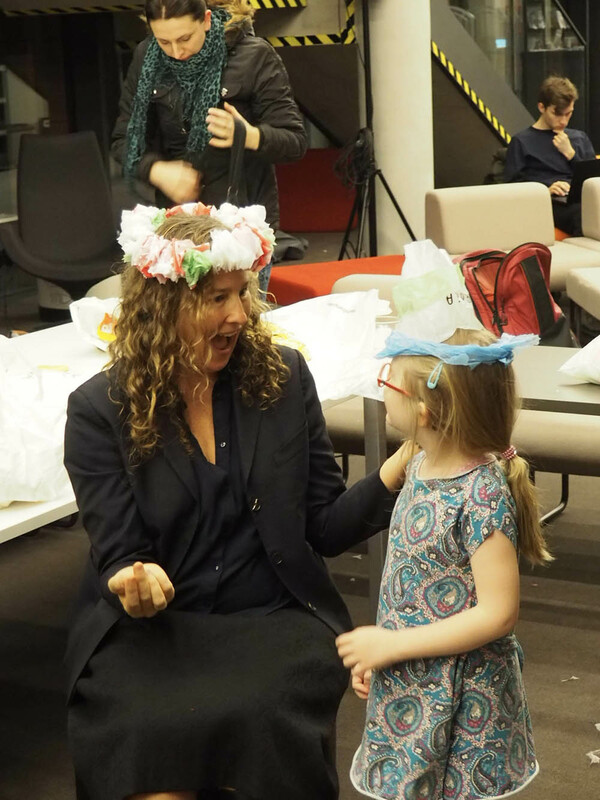 The audience was open to the general public. 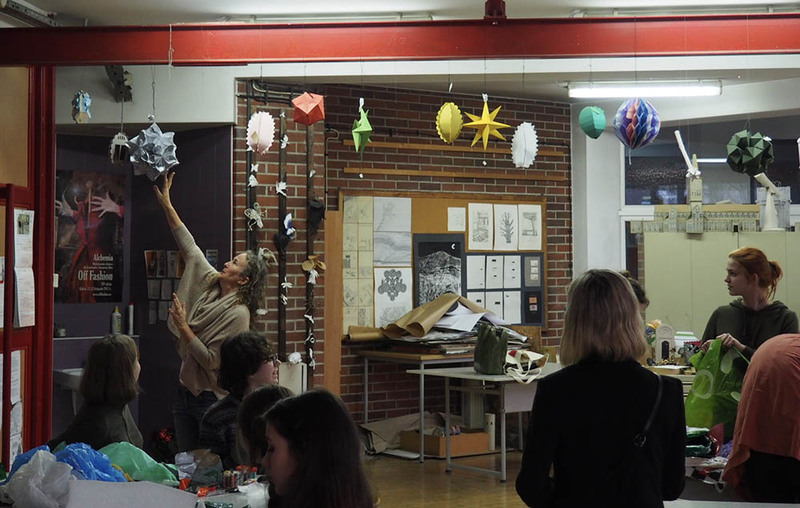 OLYMPUS DIGITAL CAMERAOn the final day of the exchange, Dianna Cohen presented her work and conducted a workshop with art students ages 11 and 12 at the Lotników Amerykańskich School in Warsaw. 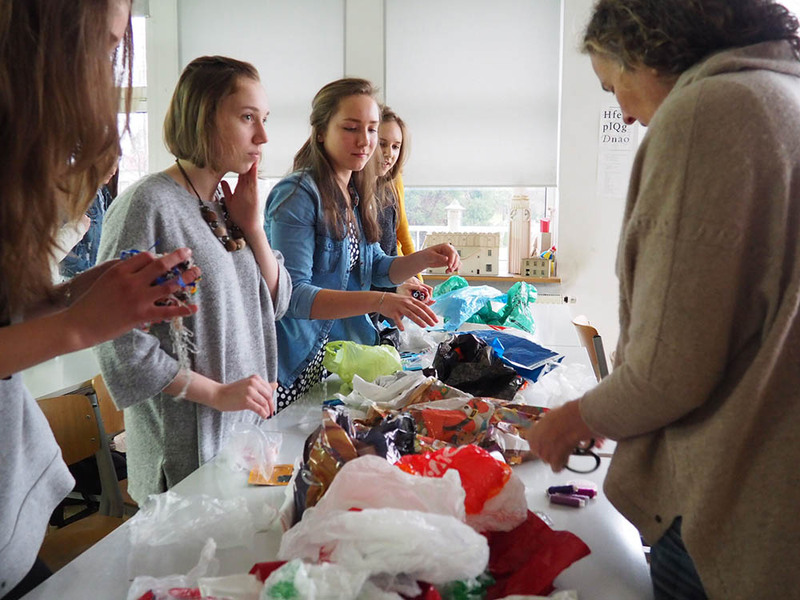 OLYMPUS DIGITAL CAMERAThe students learned about her work and its relation to her efforts to raise awareness of the problems with single-use plastics as they created their own pieces from bags they brought. 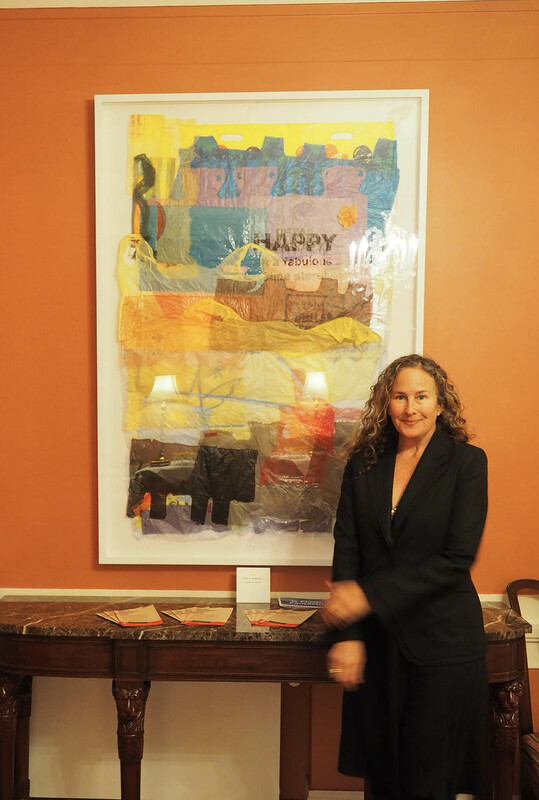 OLYMPUS DIGITAL CAMERADianna Cohen poses with her piece, Happy Fabulous, at the Residence of the American Ambassador in Warsaw. 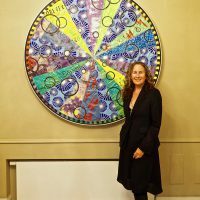 OLYMPUS DIGITAL CAMERACohen poses with CO2 Mandala, by Virginia Fleck, another work made with single-use plastic bags. OLYMPUS DIGITAL CAMERAThe Ambassador held a reception at the Residence where Dianna Cohen was able to introduce her piece, Happy Fabulous, and describe her practice and awareness efforts.